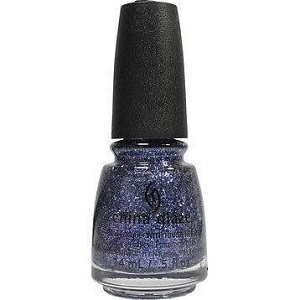 China Glaze Nail Polish, Let's Dew It, 1410, .50 fl. oz. Glitter topper with small metallic blue and silver hex glitter mixed with purple and blue micro-glitter in a sheer icy blue/lavender base.